Two of my favorite things: veils, and tears of emotion. 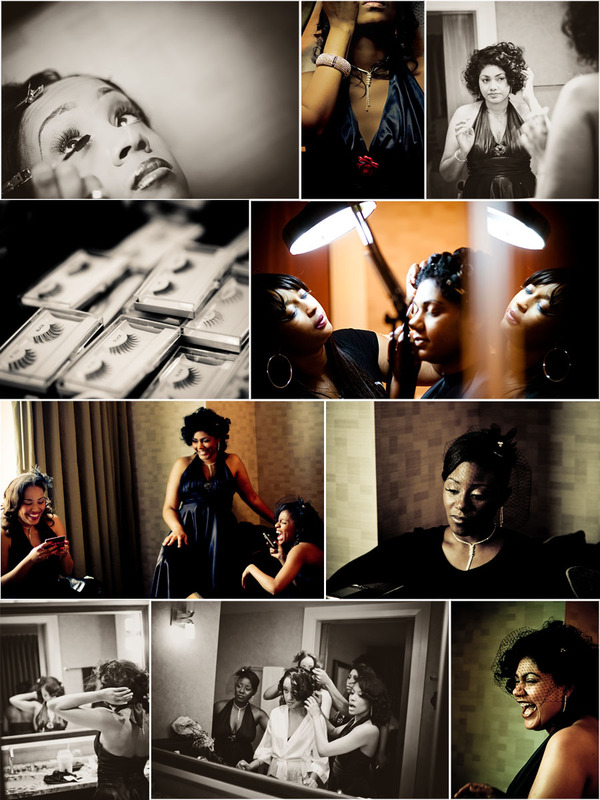 Today I’m sharing with you one of my favorite moments from a wedding ever. For someone like me who thrives on loving, emotional exchanges, it just doesn’t get much better than this. First, though, a little warm up. 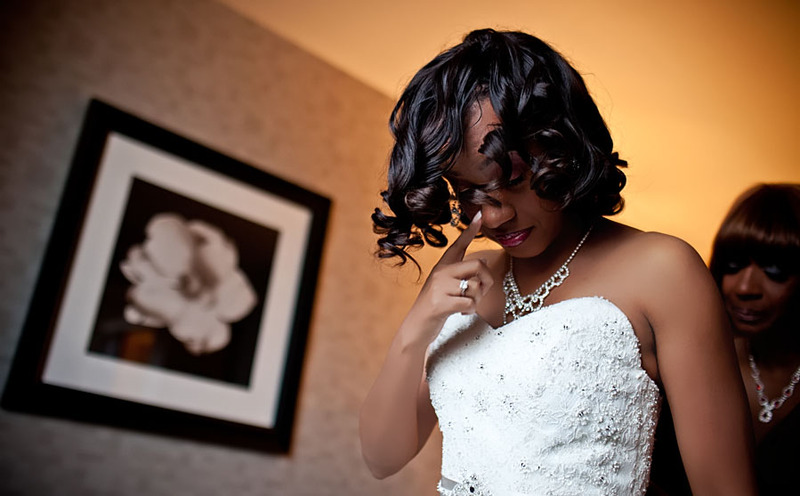 Sukari got ready at the beautiful Hotel Palomar, which was right across the street from the location of the wedding ceremony and reception, The Biltmore. 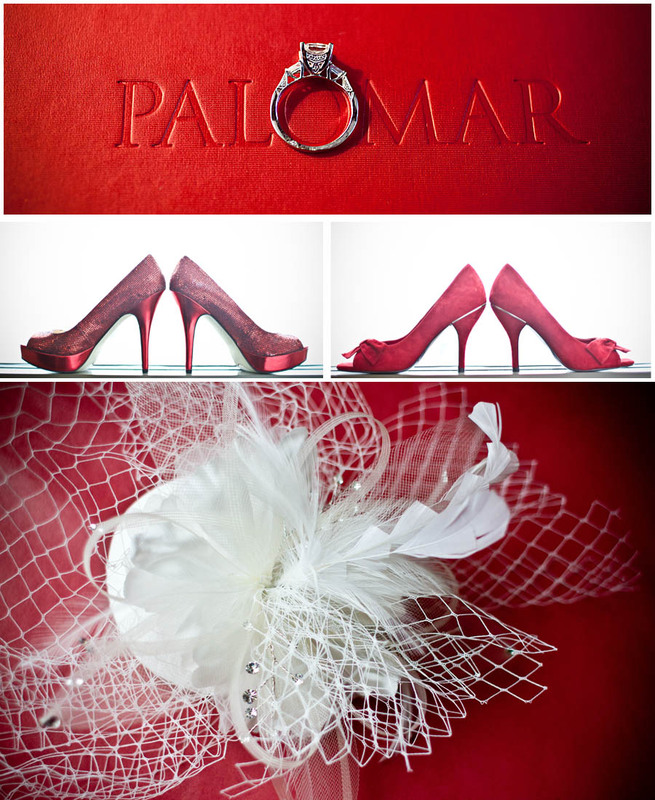 Sukari chose some of the most fabulous details for her wedding, including black bridesmaids dresses, birdcage veils, and bold bursts of red. So, so stylish! There was just so much love in this room, and seeing Sukari looking so beautiful and happy was an emotional, almost spiritual experience. 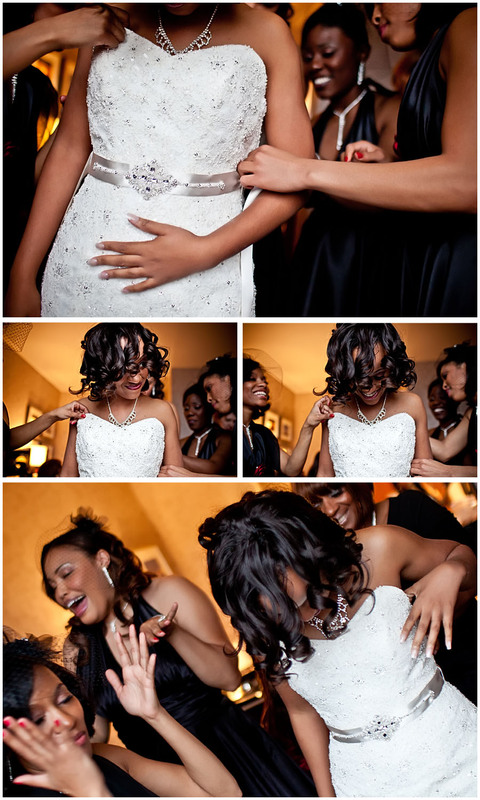 As Sukari got dressed, all the bridesmaids burst into tears in unison. Then, the group put her veil on. Sukari’s mother, standing in front of her, took one look and was so overcome by emotion I thought she might collapse. I don’t think I can even describe the charge in the room at this moment. A pure, loving, grateful display of love and emotion like I’ve never seen before. There wasn’t a dry eye in the room, including me, Courtney and Kimberly! I think it took us all a few minutes to recover, and after some makeup touchups, we were ready to shoot again. Sukari’s room at the Palomar overlooked the Biltmore, so I couldn’t resist getting some images there.